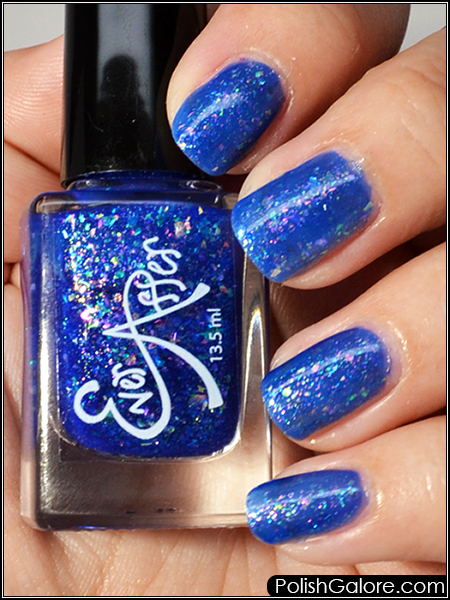 Today I have Ever After Blue Hawaiian from the Flake It Up Jelly collection. This is a listed as a bold ocean blue jelly with color shifting flakes. I'm absolutely obsessed with this polish. For years, I drank nothing but Blue Hawaiian drinks at the bar, so this was so for me. I used a base coat of Duri Rejuvacote and only 2 coats of polish before topping with Glisten & Glow top coat. 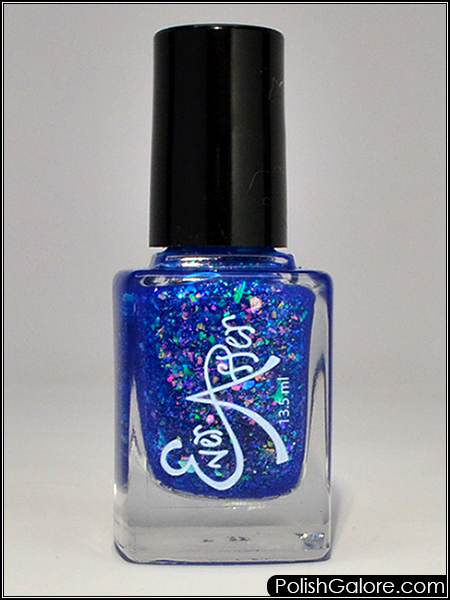 I was so happy to see that this blue was fully opaque in 2 coats and I mean, just LOOK at all those flakes! You can just barely see any VNL on this polish which is great for me because I hate seeing my bare nails. I have started using a tinted base coat when I know a polish is sheer but because I was swatching this live on Instagram, I wanted to see how it did on its own. This is a great color to wear on its own and I'm pretty excited to try it over other colors as well. Removal was no issue - didn't need to tug or scrape off the polish at all.